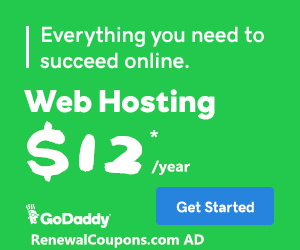 Save 31.4% Domain.com Coupon is good for 31.4% off new products and services, Offer expires March 14, 2014 at 11:59 p.m. Pacific, 23 hour only. SPECIAL OFFER! 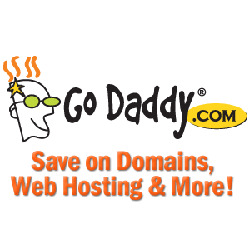 Save 31.4% on all products at Domain.com! *LIMITED TIME OFFER. 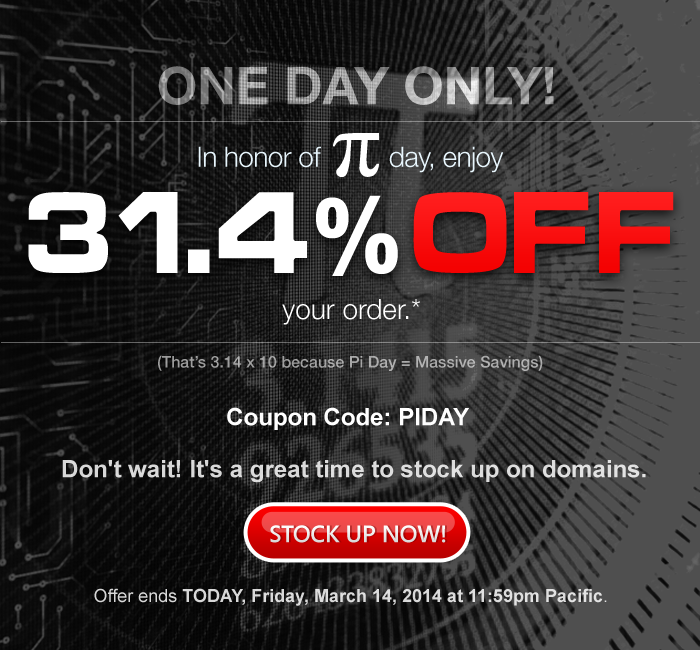 PIDAY coupon and offer expires March 14, 2014 at 11:59 p.m. Pacific. PIDAY coupon is good for 31.4% off new products and services. No minimum purchase required. All renewals on products and services after the initial discounted period will be charged at the then current standard list price for the selected period. 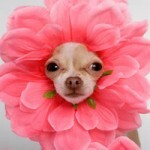 Coupon is not valid with certain TLDs, renewals, transfers, custom website design, other coupons, or special pricing.